Contact lens wearers know the struggle. Over time your eyes become more sensitive and prone to allergic reactions and never-ending watery eyes. There have been so many instances where my makeup has smudged and wiped off because it wasn't waterproof enough. Cult favorites, such as Rimmel ScandalEyes and Urban Decay 24/7 Glide-On Eye Pencils did not last one bit. This phenomenon is so frustrating that I resigned myself to the idea of not being able to wear anything on my lower lash line...that is, until I found the Make Up For Ever Aqua XL Eye Pencils one day while strolling through Sephora. 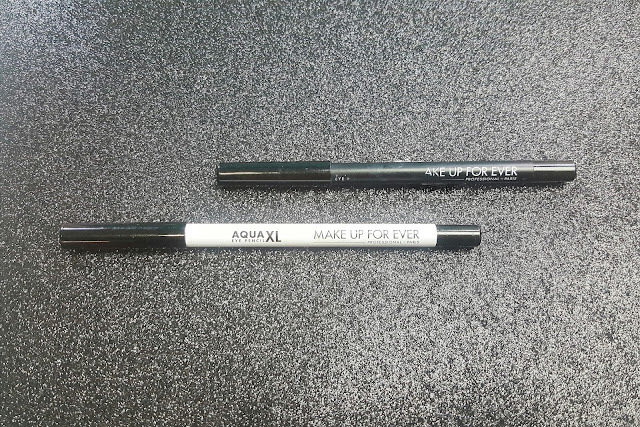 The MUFE Aqua XL Eye Pencils are waterproof eyeliners that are very creamy and pigmented. They come in 20 different shades, ranging from jet black and brown to blue and yellow, and also come in the same finishes as their Artist Shadows (matte, satin, metallic, diamond & iridescent). You can find these eyeliners at Make Up For Ever Boutiques and Sephora for $21 a pop. 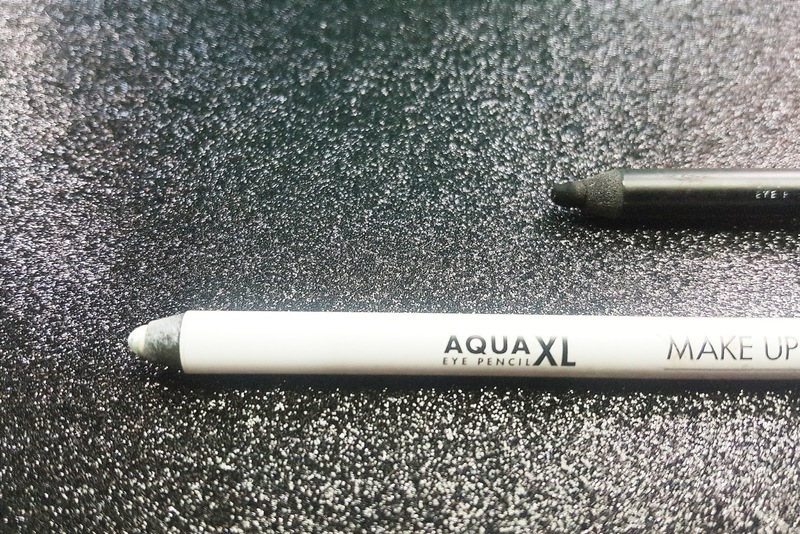 Here are the claims made on this product that I was able to find on Sephora's website: "A pro artist favorite, Aqua XL Eye Pencil Waterproof Liner's superior, long-lasting formula will not smudge, crease, or fade until you remove it. Its innovative formula blends intense, rich color with a super-gliding texture. This versatile liner’s smooth texture effortlessly glides onto lids without skipping or tugging while delivering intense, one-swipe color that lasts all day. Perfect for creating a tight line or smudging for a shadow effect, it features shades that range from everyday neutrals to bright pastel pops." 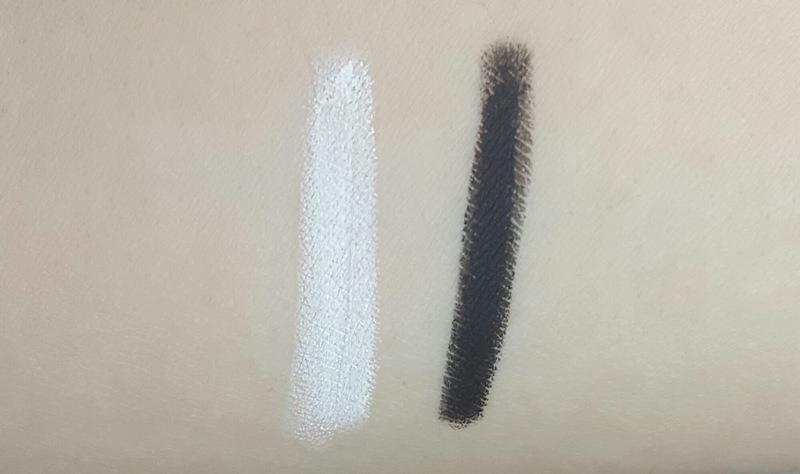 As with many of MUFE's products, you can use these pencils in a multitude of ways: as eyeliner on the lash line or waterline, as a base underneath shadows, and some shades could even double as brow or lip liners if you're in a pinch. I personally have only had the opportunity to try out the shades M-10 (jet black) and M-16 (white) and they wear absolutely fabulously. I find that M-10 is intensely opaque and doesn't go anywhere once it dries down or is set with a powder. M-16, on the other hand, has a medium opacity, but is buildable to a full coverage. It should be noted that once these liners set, they are not going anywhere, so if you plan on smudging them out or using them as a base, work in sections. Despite the fast drying time, they do go on smoothly without any tugging. This will be good news for those of us with sensitive, watery eyes as these liners will give us color payoff that won't budge. Upon removal, I find that it is helpful to soak a cotton round in eye makeup remover and hold it on the eye for a few seconds so that it can breakdown the product thoroughly. 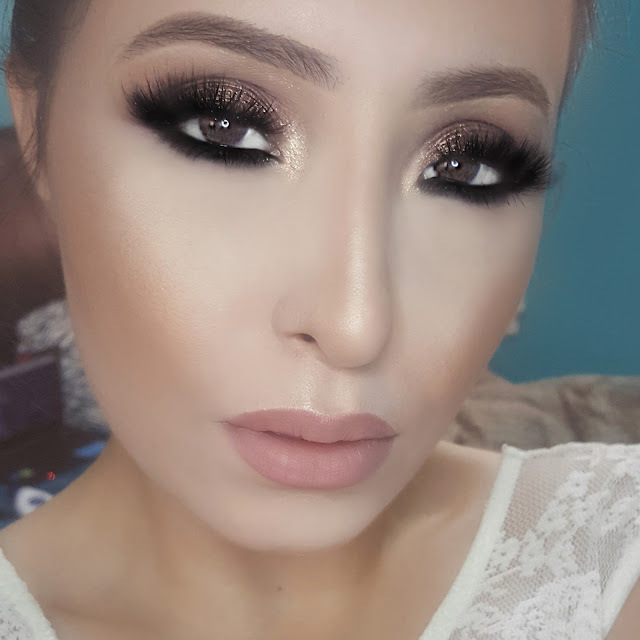 In the past year or two, I have not been big on putting eyeliner or eyeshadow on my lower lash line as my eyes have developed such a sensitivity. The MUFE Aqua XL Eye Pencils have restored so many eye makeup possibilities for me and, for this reason, I absolutely LOVE them. So, if you couldn't tell, they come highly recommended by me and I wouldn't mind picking up more, especially a navy blue and dark brown for everyday use. Without a shadow of a doubt, this is a line I hope MUFE will continue expanding in the future.